Young people curl for many reasons. They enjoy learning new skills and testing these skills against others. They like the challenge and excitement. Winning is not nearly as important as the simple pleasure kids get from being active, being with friends, and being part of a team! Fun – Make it a great experience for the whole family! Fitness – Aim for active participation from every player. This will contribute to the mental and physical development of all participants. Fundamentals – Focus on the basics. As players develop their skills, their enjoyment of the sport will grow. 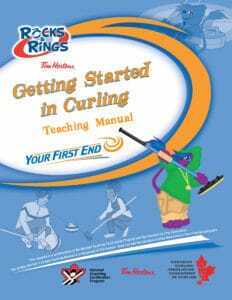 Getting Started in Curling is a multifaceted ‘introduction to curling’ program, offering a wide variety of resources to assist instructors/teachers and program organizers in getting young people involved in the sport. The program has been designed for curling clubs, schools and community groups. 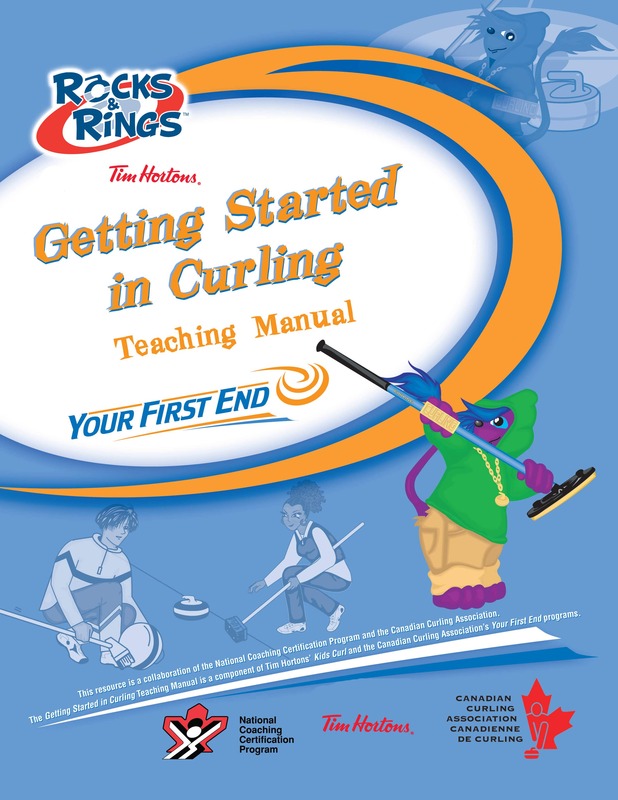 Whether you plan to teach curling as part of your physical education program, or you are running your own school leagues and bonspiels, Getting Started in Curling; A Teaching Guide for Introducing Students to the Sport of Curling provides a brief introduction to the basics of the sport. Click here for the resources needed to get your started! When working with your curlers, you should remember that not only are you a teacher, you are also a leader and a counsellor. Provide simple teaching points to help your students learn to curl. Offer encouragement and support to help your student curlers be the best that they can be. Instil the importance of being a “good sport” and playing fair. Listen to your student curlers’ concerns and deal with them as best you can, always being supportive. Make the sport positive and fun. When you coach young people, the results are real and immediate. You share in the small victories as they develop skills. You feel it in their energy and enthusiasm. You see it in their smiles. But the results of being a curling instructor are also subtle and long-term. Through curling, you will help these youngsters grow and develop as individuals. The athletic skills they learn from you may only be used for a few years, but the attitudes they develop toward themselves and others will last a lifetime. These rewarding benefits do not come without effort. There is a clear time commitment involved in being an instructor – for planning, practices and games. And there is a real responsibility as you enter the lives of young people. Nonetheless, the effort is worth it. Ask any long-time instructors and coaches about their involvement in curling, and they will tell you that they have gained more from it than they ever gave up. Although this Guide won’t give you all the answers, it will get you off to a good start. To further develop your skills as an instructor coach, you are encouraged to consult other coaching references and to take part in the National Coaching Certification Program courses. Information on these courses can be found in the “Additional Resources” section of this Guide. Curling is a game worth playing, but it must be kept in perspective. You should encourage your players to participate in a variety of sports and to take part in other activities like music, drama, and art. These organized activities all have their place in the life of a student. Informal play without supervision is also important. Young people should simply “get out and play” every opportunity that they get. One thing’s for sure, curling is a great source of physical fitness and fun.